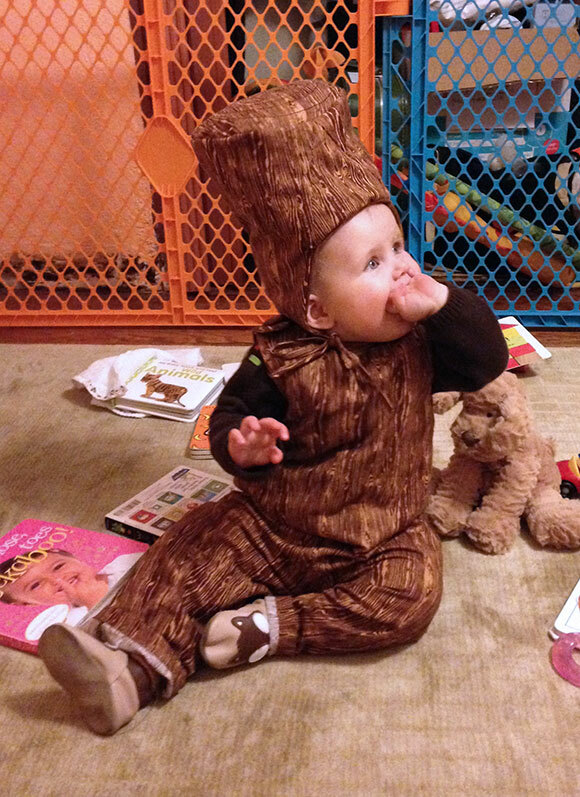 When my daughter, Suzanne was a couple months old I started thinking about costumes for Halloween. At that time she didn't crawl yet, so bundling her up as a log seemed to make sense. 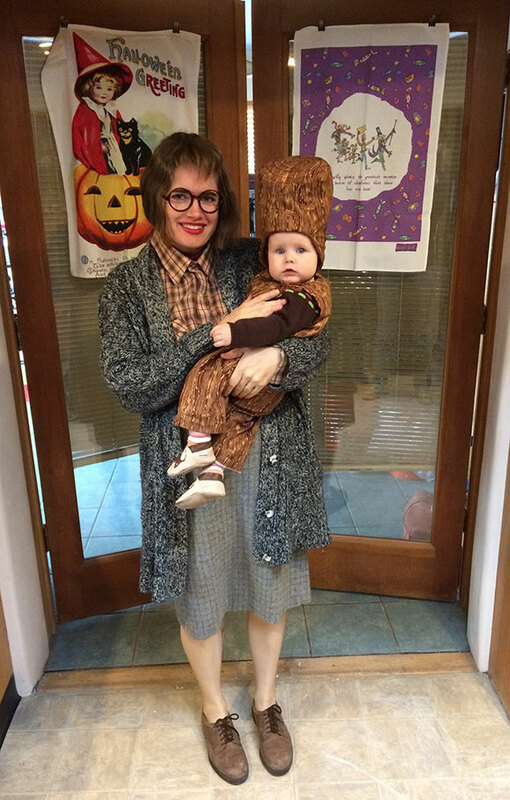 I'm a huge Twin Peaks fan so the dressing up as the Log Lady and her log was an exciting premise. By the time Halloween rolled around this year she was crawling so I realized I couldn't just wrap her in wood grain fabric, I would have to make something she could move around in. For the Log Lady, I didn't custom make anything, I just found the items at a thrift store. I thought I would have an easier time finding her signature large red glasses because they are back in style now but I had to make do with just some big glasses. To make the log, I started with Simplicity pattern 5049 because that's what I had around that was close enough to Suzanne's size. 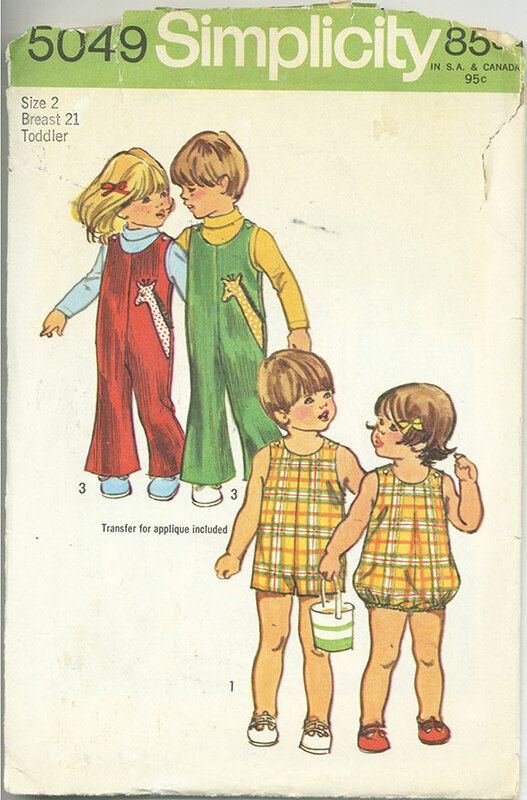 The pattern is from 1972, so I took the intense flare out of the pant legs. For the hat, I used an existing hat that fit her as a template to create the interior shape. Then I built up the exterior log shape on the outside of that. It was a little tricky getting the log to look right, I had to add an extra piece in the center to make it look like a log. The log print fabric (Woodgrain Bark by Joel Dewberry) really makes it. I ran out of time to wearing her first crazy Halloween costume. 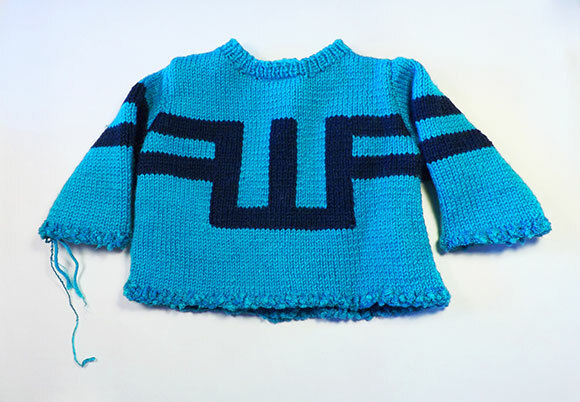 Last Fall, I made a baby sweater based on the icon that Alec drew for the Undone the Sweater song on the Weezer memories tour poster. 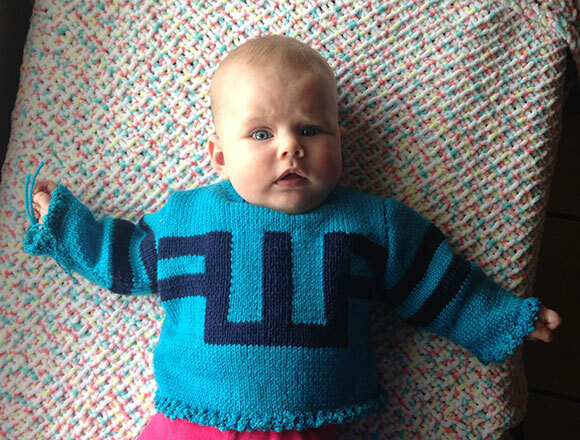 Now it fits our daughter Suzanne and yes, she is named after the Weezer song. Since the =w= design is on the front I picked a pattern that opens in the back. But that was before I was a parent and learned that back closures on baby clothes are pretty dumb. Technically it could be reversible anyway, but she won't be wearing it too much longer anyway. 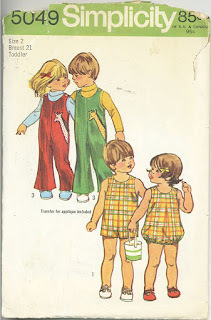 If I made it again I would use a pattern that just has some buttons around the neckline. 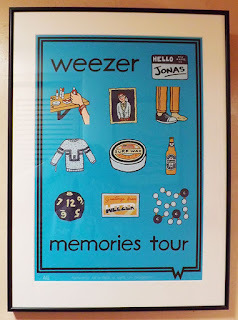 The string is left intentionally because the song is about a sweater coming apart. 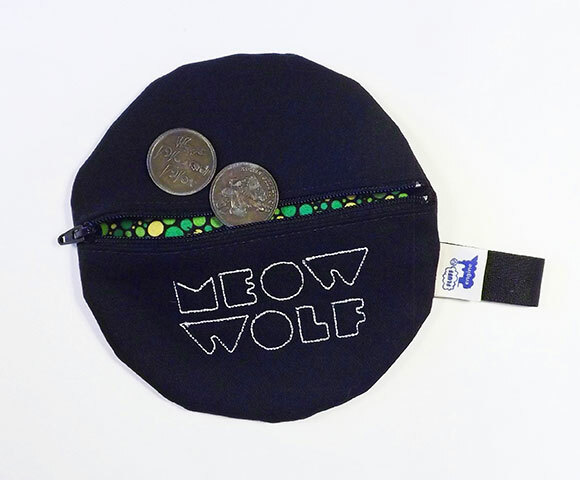 I made some coin purses inspired by the Eyeball dome at the Meow Wolf Art Complex. They are made out of black cotton twill and lined with different cotton prints. 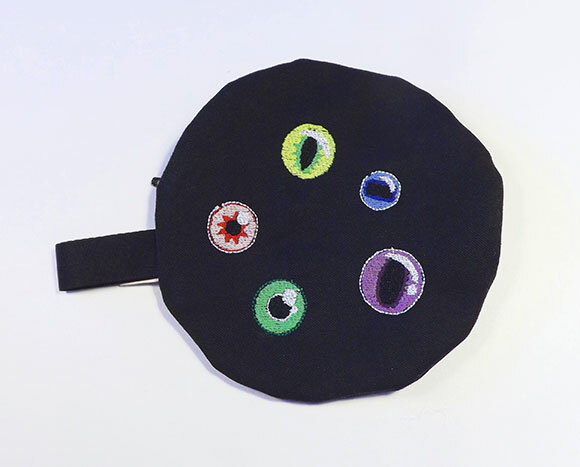 The eyes are machine embroidered. 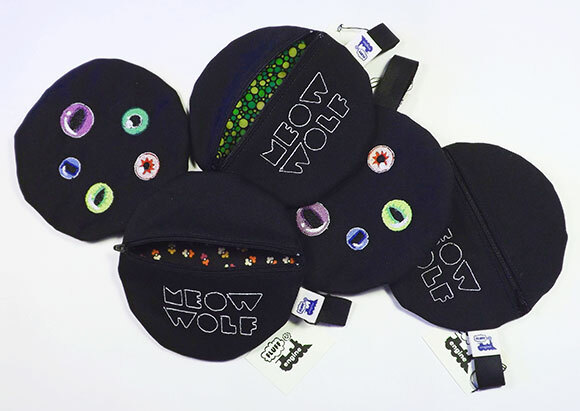 Now available for sale in the Meow Wolf gift shop, they are perfect for holding all your Plotzo's Plasma Plex tokens! 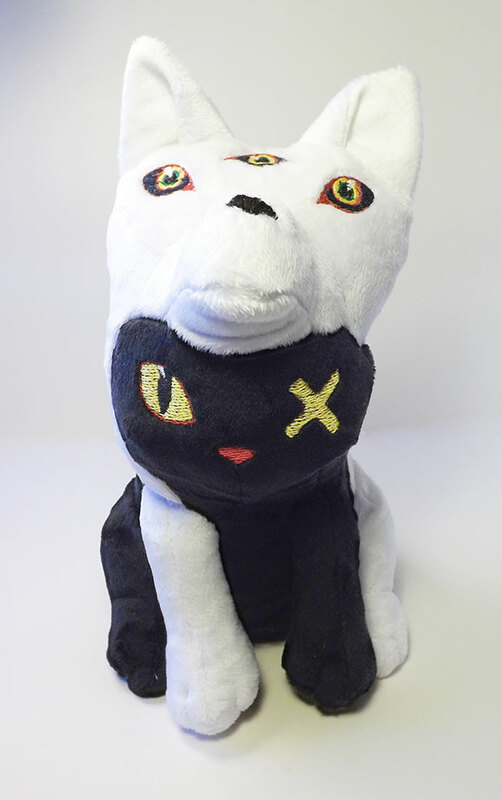 I just finished working on a custom plush Cat Wolf toy for the shop at the Meow Wolf Art Complex. 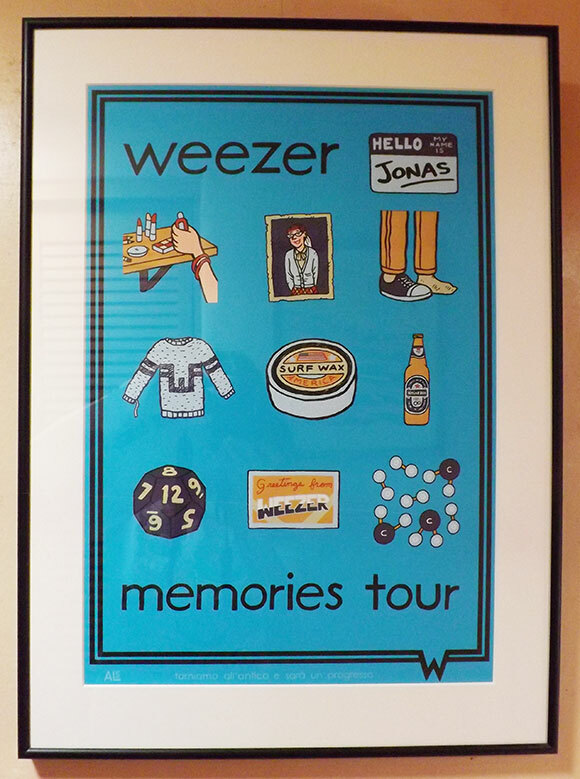 I worked with my friend and Meow Wolf collective member Emily Montoya on coming up with the design. Her concept was a Cat and Wolf that got twisted together through a space portal. The Meow Wolf Art Complex grand opening is this weekend, March 17-20, 2016. 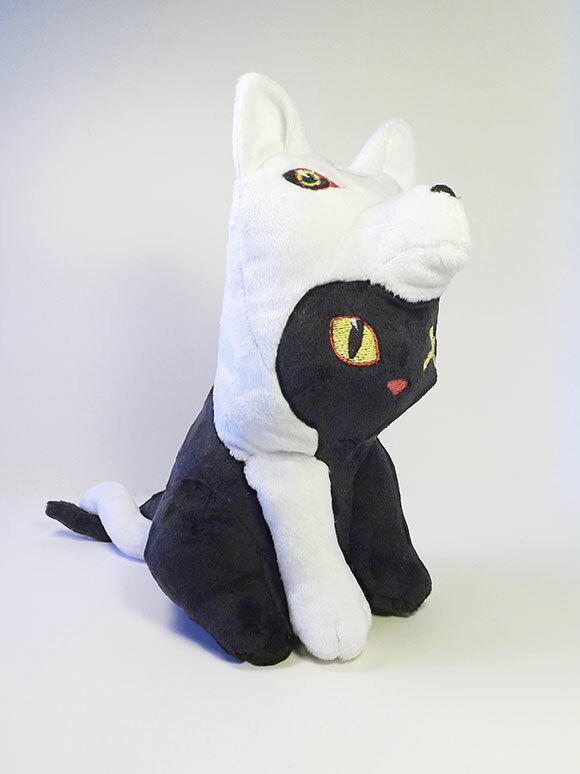 There is a limited number of Cat Wolf plush toys available in their shop, so go check it out! 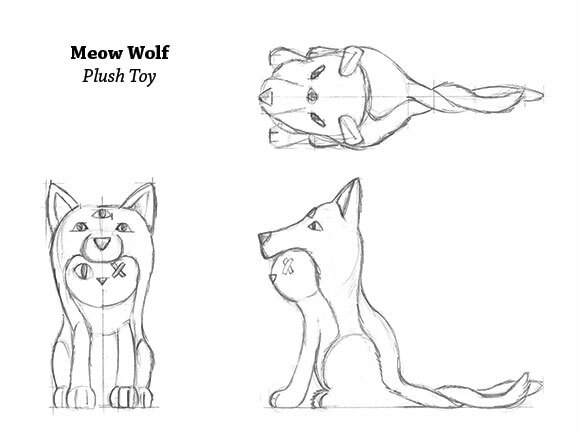 For most of my plush designs, I sketch three views to get started on shaping the plush pattern pieces. Since this one was asymmetrical with the wolf and cat being twisted together, I should have done both side views. Luckily, the front view was enough to figure out the color blocking of the two animals becoming one. 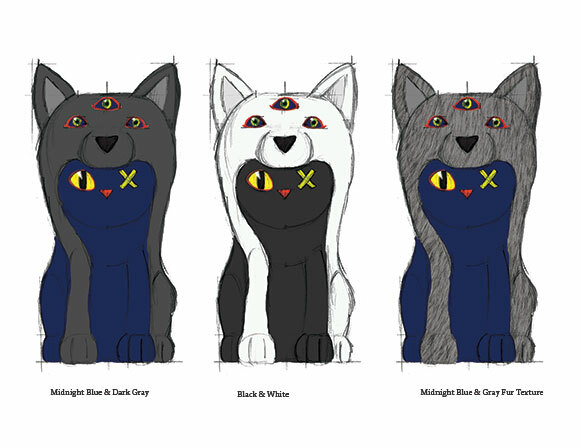 There wasn't an existing Meow Wolf Cat Wolf character, Emily came up with this concept but the colors weren't completely decided on yet. I sketched a couple different color combinations, and ultimately Emily liked it in black and white. 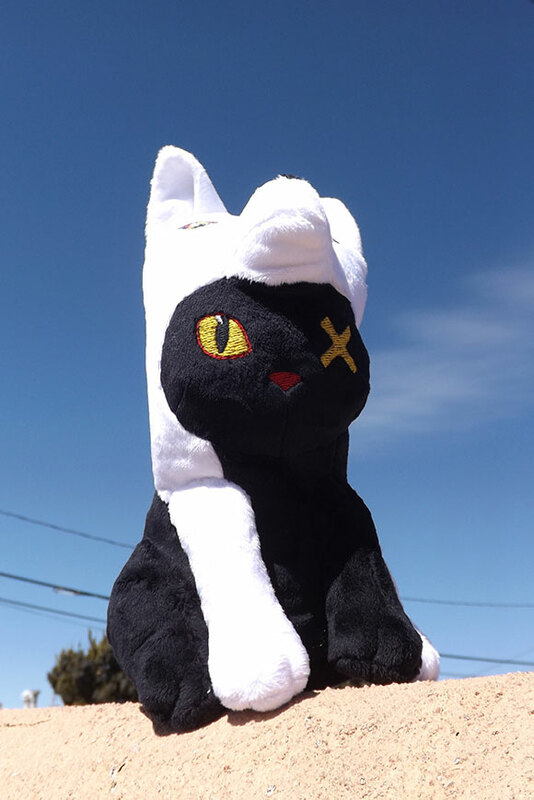 At the end of last year, I bought an embroidery machine and it really came in handy to create the faces for the Cat Wolf. 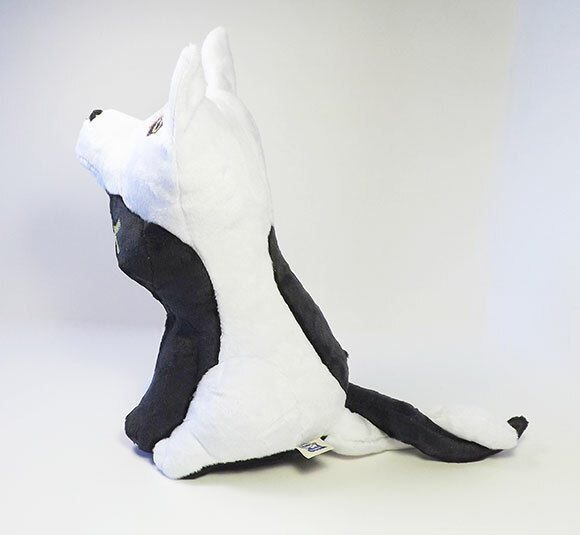 The finished toy is about 12 inches tall. 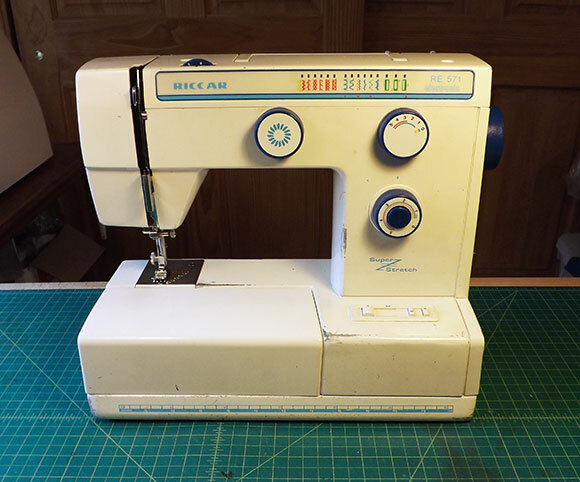 I got my Riccar RE 571 sewing machine about 20 years ago as a Christmas present from my parents. A couple weeks ago it stopped working. I took it in to be serviced, at first it seemed like it just needed a deep cleaning and a tune up. But once it was really looked at, it turns out the motor is dead and the cost to repair it would be more than buying a new machine. I don't like that mentality, as I like to keep fixing things, but I decided it was time to say goodbye to an amazing machine. It's a pretty simple machine, able to do basic straight and zigzag stitch variations and buttonholes. The body is metal, so it's got a nice weight to it, it feels and is very sturdy. While this wasn't the machine that I learned to sew on it has enabled me to make tons of different things. I made my portfolio pieces that I submitted to the Fashion Institute of Technology where I went to college, studying both fashion and toy design. 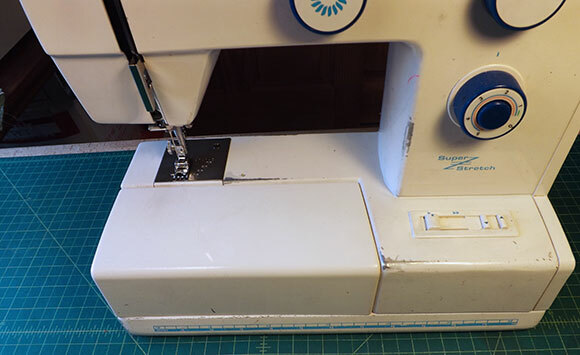 A lot of the sewing skills honed on this machine came in handy there plus I learned so many more new things. This machine has moved with me to most of the states I've lived in up to this point: New Mexico, Illinois, California, Vermont, and a brief trip to Colorado. I didn't take it to school with me in New York because FIT has tons of sewing labs. I didn't toss this machine around, the paint has worn off just from years of pushing fabric through it. With this machine I've sewn hundreds of plush toys. 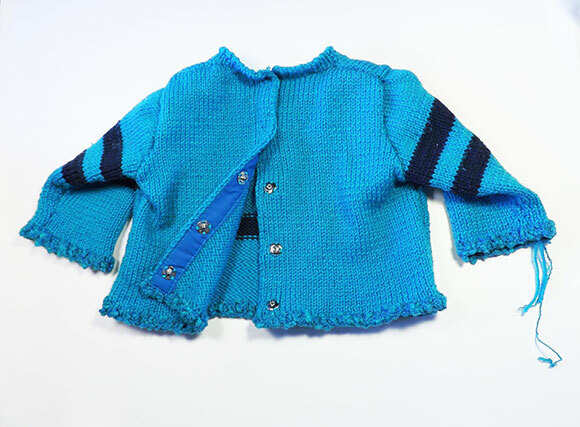 It has both mended and sewn tons of custom clothes. 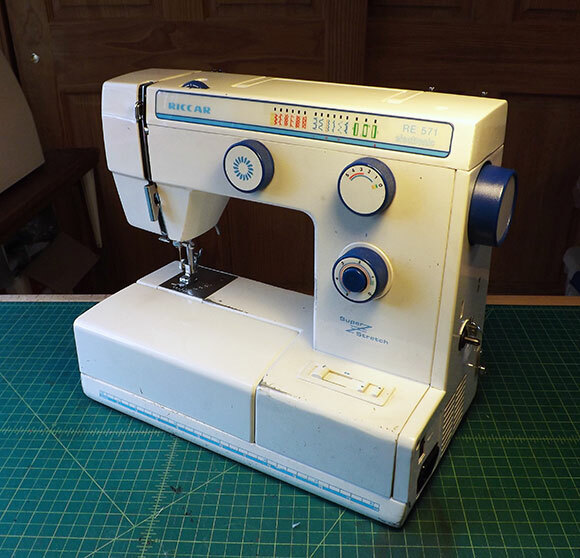 It enabled me to start freelance designing by being able to make prototypes and up to this point just about every sewing project posted on this site was sewn with this machine. 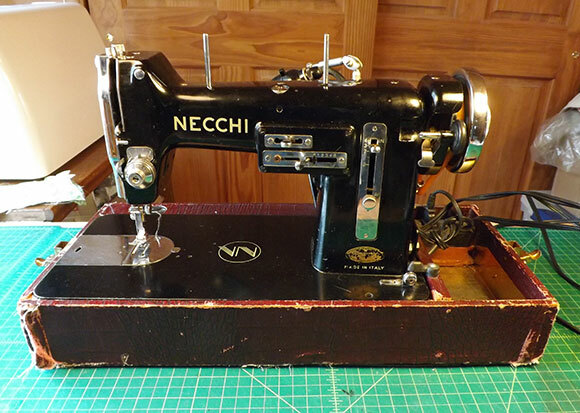 For the couple of weeks when the Riccar was in the shop and I didn't know if it could be fixed, I borrowed by mom's sewing machine, a Necchi model BU. 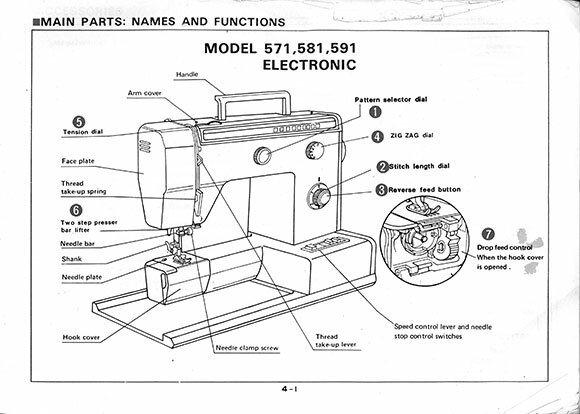 It just happens to be the sewing machine that I learned on when I was about 8 years old. It weighs a ton and continues to works beautifully. 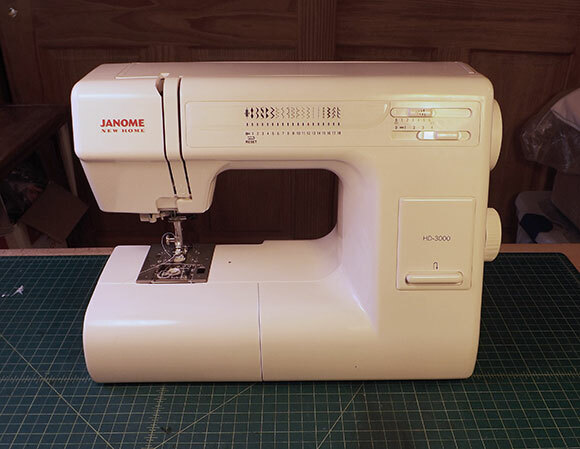 After a little bit of research, I ended up buying a Janome HD 3000 to replace the Riccar RE 571. 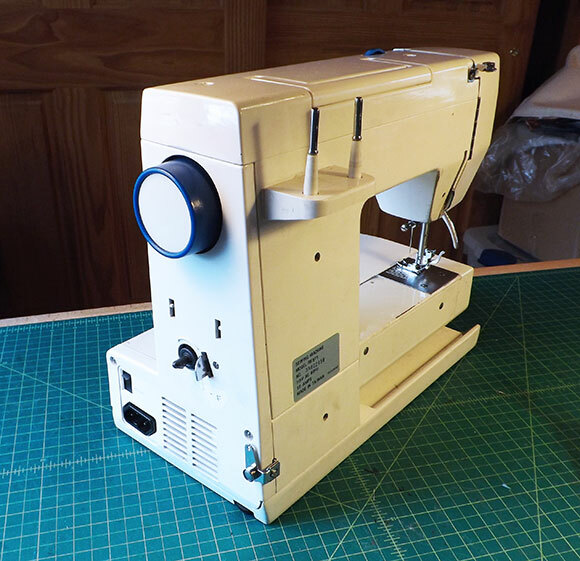 I do pretty basic stitching, but I do a lot of it, so I was looking for a simple but tough home machine. This one has great reviews so I'm hoping it will last me through the next 20 years.